Driving is an important thing for many people; I remember the excitement I felt when I turned 16 and could start driver’s education classes! The thrill that came from getting your license and knowing you had the freedom to hop in a car and take off in any direction was a powerful one. When I moved abroad I didn’t think much about the entire license aspect of living in a foreign country; I also didn’t consider what I would do when my American license needed to be renewed and I wasn’t living or driving in the states anymore. In the Middle East, my American license granted me a license for the country I was a resident in without me needing to take any tests; I popped in to the Department of Vehicles, got my license, went and purchased a used car and I was good to go for my four years there. I moved to Berlin with only a valid Middle Eastern driver’s license and these countries aren’t on the reciprocity list for a German license. But before I jump into that deep end let me share the laws/rules regarding driver’s licenses for US expats in Germany. The laws regarding licenses are as follows: an American tourist can rent and drive a car in Germany using their American license for the length of their vacation. But, if you are staying in Germany for 6 months or longer you are required to get a German driver’s license. There are 27 US states (plus Puerto Rico) that have full reciprocity with Germany for driver’s licenses: this means that they can walk into their local German Führerscheinstelle with their US license and some other documents and get a German license without any tests at all. These above are the lucky 27 states who don’t have to take any tests at all to get a German license. There is another group of semi-lucky US expats who have to take the written test but not the road test (be warned the German driver’s license written test is far more difficult than typical US license tests). In order to be compliant with German law you must get your German driver’s license within six months of residence in Germany. Also be aware that if you wait to get the German license and three years pass, you will have to start from scratch and take practical lessons (20-40 hours worth) and the written test- the reciprocity won’t apply after the three years. 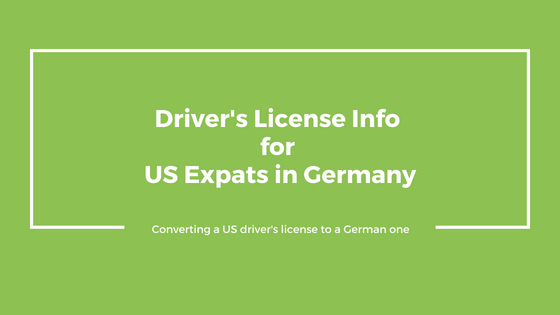 Expats that are staying within Germany for less than a year and can prove this (with a work contract stating the end date, or a return flight to the U.S. before a year) can get an exception and be allowed to drive in Germany with their US license without getting a German one. But you must get this exception from the local German DMV (Führerscheinstelle). 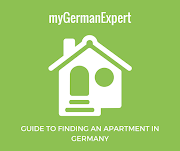 Applying for the German license even with reciprocity still requires some work and documentation; the following information will apply to anyone who is getting a German license, not just those from the USA or those with the reciprocity option. 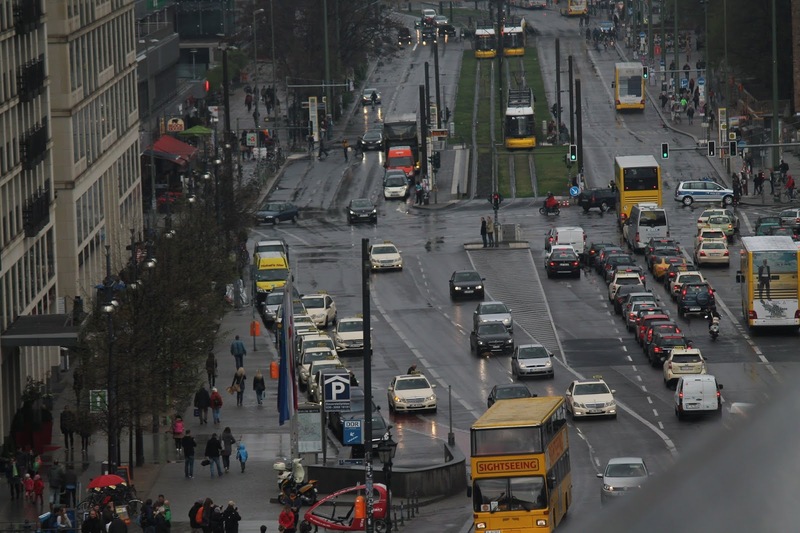 There are two options to the process of getting your German license: you can use an official Fahrschule (driving school) if you have any tests at all to take (written or road or both), or you can do it yourself. If you don’t have any tests to take, then you don’t need a Fahrschule but a conversion of your foreign driver's license (Umschreibung). You just go to a local Bürgeramt (appointment required) and submit your application (remember the entire “no English spoken in any State office” rule- you might want to bring along a translator). Fee of approximately 40 EUR cash (if no tests needed). * The certification needs to be carried out by a court-sworn translator who is eligible to legally certify documents in Germany. I can recommend this company: they can provide you with a certified translation of your driver's license including classification, postal delivery at an affordable price. You turn all this in and you’ll get your German license in the mail in 3-6 weeks. This information I am sharing is what I have learned through research, not with personal experience. 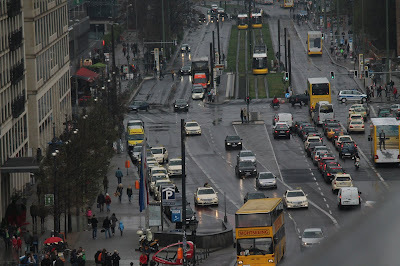 I decided I don’t want to get my license here because I don’t plan on doing any driving- I don’t own a car here and don’t plan to because the mass transit system here in Berlin is so amazing. Yes it can be slow and yes it can be interesting at times on the trains themselves, but this is the best public transport I’ve ever experienced and I love using it, plus in my opinion it is far cheaper to use the public transport than buy a car, pay insurance and parking etc etc. For more information, you can visit the websites of the U.S. Embassy in Berlin and the Berlin Official Portal.